Join Azure Storage and Edge Solutions Lead Tad Brockway as he welcomes Commvault! Our Thoughts on Storage series features 1:1 conversations with industry leaders and innovators. 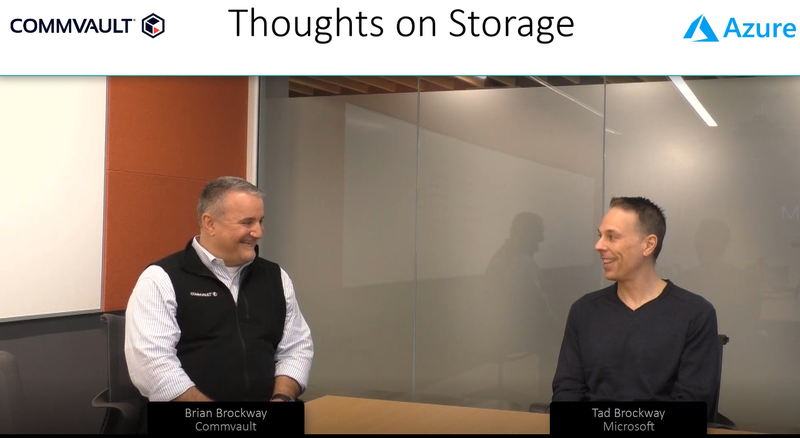 In this interview, Tad and Brian Brockway, CTO at Commvault, talk about the relationship between Commvault and Microsoft and how we're working together to ease data protection and management challenges. Join us and enjoy this first meeting of "The Brockways"!